The Australian Minister for Foreign Affairs Bob Carr Wednesday condemned an Israeli decision to expand settlements in the West Bank, including East Jerusalem, according to a statement issued by the ministry. He said the Israeli decision to expand settlements will further complicate the peace process. Carr urged the Israeli government to uphold its obligations stated in the Quartet’s Road Map that outlines a peaceful settlement for the Palestinian-Israeli conflict. He said unilateral Israeli steps will not help bring the two parties back to the negotiating table, which he says forms the only solution to establish two states, one Palestinian and the other Israeli. Al-Hayat al-Jadida newspaper Wednesday highlighted letters from the Palestinian Authority’s UN representative to United Nations officials calling on them to condemn the Israeli settlement activities in the occupied Palestinian territory. The daily said Riyad Mansour delivered the letters to the presidents of the Security Council and the General Assembly as well as UN Secretary-General Ban Ki-moon calling on the UN bodies to condemn the Israeli settlement activities because they destroy the two-state solution. The main article featured on the front page of al-Quds daily focused on the opening of the Bilin 7th Annual Conference for Popular Struggle in the Ramallah-area village of Bilin, during which Prime Minister Salam Fayyad praised the popular non-violent resistance against Israeli practices. The newspaper said Fayyad called on the Quartet to restore its credibility and resume its role to hold Israel accountable for its violations. The prime headline in al-Ayyam newspaper quoted the UN-Arab League special envoy on Syria, Kofi Annan, saying the Syrian regime did not show any signs of peace offering. The daily said the Security Council called on Syria to halt battles by Thursday. Al-Hayat al-Jadida highlighted in red the deteriorating health condition of Palestinian prisoner Bilal Diab, who has been on an open-ended hunger strike for 41 days protesting his arrest without charge or trial in Israeli jails. Reporting from Egypt, al-Ayyam featured the Egyptian administrative court’s decision to suspend the Islamists-dominated committee appointed to draft a new constitution, which formed a setback to the Islamic Brotherhood party. An opinion piece by Hani Habib in al-Ayyam newspaper highlighted the new political haggling between Hamas and Fatah movements following news that President Mahmoud Abbas is going to do a reshuffle on the Palestinian cabinet of Salam Fayyad. The Zionists occupation filled it with settlements, stole its land, killed its children, surrounded its Mosque and dismembered the city to control more than 65% of its area. That is how the land of the district of al-Khalil was divided between Jewish settlements and occupation military bases. 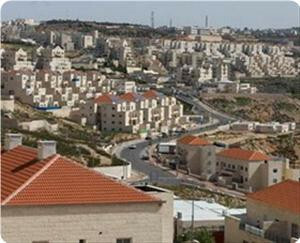 An expert in settlement Abdul Hadi Hantash told PIC: "Al-Khalil is, deeply and clearly, suffering from the onslaught of settlement in the year 2012 and I expect that settlements in the district will expand by 30% while they expanded last year by 20% . 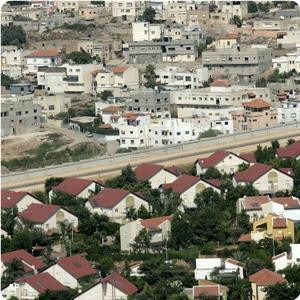 Thus, the number of settlement units will be doubled". He also explained that the policy of adding mobile homes in many outposts in the district is a part of a larger plan that aims at installing more settlement outposts. He added that 65% of the district’s area which exceeded 1103.5 square kilometers was extorted for settlements, camps of Zionist soldiers and bypass roads. Amongst the settlements to which new buildings were added are "Tnaamarim" and "Sansana" in the south of Dhahiriya, "Susia" in the South of Yatta, "Maoun", "Carmaniel" and "Njhot" in the south of Doura, and "Kharsina" in the north of Al-Khalil. Al-Khalil inhabitants consider that the Zionists’ settlement annihilated the most important agricultural land and the forest areas under the pretext that they are areas belonging to them or classified as "C" areas or they are nature reserves, military camps or military stores, knowing that a large proportion of which are military zones. Abu Mohammed Shuraitah a citizen from the city of Yatta told PIC that the settlers' almost daily attacks prove the policy of harassment of citizens, in addition to their uprooting of trees, their attack on the properties in the east of Yatta, and their assault of students and teachers at a school which received a demolition order under the pretext of endangering the settlers' safety. 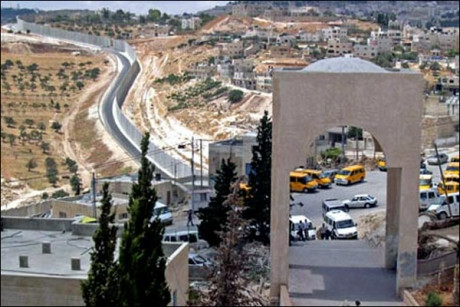 Hantash revealed that the Ibrahimi Mosque’s surrounding, the old town and neighborhoods were seized through the expulsion of Palestinian residents from their homes and that the 500 settlers in Al-Khalil old city, including students of the religious school called the school of "theology" are considered to be experienced in attacking and threatening indigenous residents and their children. The settlers in Al-Khalil claim their right in the city under the pretext that the land religiously is theirs. Nidal Abu Koidr another citizen of Al-Khalil told PIC that Zionist settlers use force to grab land and properties repeatedly by demolition and eviction orders mentioning the Ibrahimi Mosque massacre in 1994 which ended up with dozens of martyrs and wounded. Workers breaking ground at the Yekev compound in the West Bank for temporary homes for Migron settlers. The High Court of Justice ordered the evacuation of the illegal West Bank outpost last month; temporary housing will cost NIS 25 million, and the government will most likely foot the bill. The state is set to spend NIS 25 million to build a temporary housing site for Migron's settlers, who have been ordered to leave the West Bank outpost by August. A team headed by cabinet secretary Zvi Hauser is due to meet Sunday to find a source for the money from the budget. The High Court of Justice last month ordered the state to evacuate the illegal West Bank outpost and dismantle it by August, after rejecting an agreement between the settlers and state to defer the evacuation by three years. The Mateh Binyamin Regional Council yesterday began construction work on a temporary housing site for the Migron settlers in the Yekev compound, about two kilometers from the outpost. A permanent neighborhood for the evacuated settlers is also planned on that site. The council, under whose jurisdiction Migron falls, permitted the construction on the basis of an approved plan for a tourist site, which will now be converted to a housing site. The temporary site will consist of public structures, 50 prefabricated homes and minimal infrastructure, at at estimated cost of NIS 500,000 per family, totaling NIS 25 million, an official said. The state will probably foot the bill, it was learned. The permanent neighborhood will require more comprehensive construction work and is expected to cost tens of millions of shekels. Migron's settlers are to pay for building the permanent houses themselves, the official said. "We decided to establish facts on the ground and, by our power as a regional council, ordered to prepare the area for mobile homes and later permanent ones for Migron's settlers," said council head Avi Roeh. The settlers themselves have not decided what they should do. Some of them say they must not trust the government any more, and there is no point in reaching understandings with it. Others say that if the government is willing to build a permanent site for them on the basis of their agreement, and see what may legally be preserved in the old outpost, they should move to the temporary site rather than wait for forcible eviction. A council official said if the settlers are able to move to the temporary site by August 1, he believes they will leave Migron voluntarily. Meanwhile, the state told the High Court yesterday it would not demolish three structures being built on private Palestinian land in the Beit El settlement at this time, despite its commitment to do so. 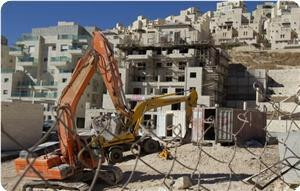 The structures are being built on lands of the Palestinian village Dura al-Kara in the West Bank. 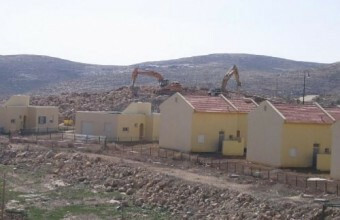 Since the High Court ruling on Elon Moreh in 1979, building homes on private Palestinian land has been prohibited. Following the construction in Beit El, which began some 18 months ago, the landowners petitioned the court to stop the work. The court issued a temporary injunction against the construction. Last April the state undertook to demolish the structures within a year, unless their status was regulated. The Civil Administration denied the contractor's request for building permits. Yesterday evening, 48 hours before the allotted time for demolition ends, the State Prosecution told the court that the government needed more time to make a decision. "The government was apprised of more facts gathered by the Civil Administration regarding the construction in Beit El and its security aspects," prosecuting attorney Hila Gorni said. She attached to her response a deposition by Col. Ilan Malka, chief operations officer for the Central Command, saying the IDF wants to get through Nakba Day (in May ) and then allocate troops for the demolition. The petitioners' attorney, Michael Sfard, said: "The state's announcement is no less than scandalous. Two days before the time to carry out its commitment to the court expires, it says it intends to break its word. "If the breach was for operative reasons, perhaps the petitioners would have agreed to a short delay. But the state's announcement shows the cabinet wants to reopen and reexamine the entire issue." The Israeli occupation Ministry of settlements, on Wednesday put out five different tenders for the construction of 872 settlement units in Jabal Abu Ghneim “Har Homa” illegal settlement, south of occupied East Jerusalem. Sob-Laban added that the Israeli announcement of these tenders comes parallel with the eviction of settlers by the occupation army from a Palestinian home they have occupied in the Old City of Al-Khalil last week, in order to reassure the Zionist side specifically the extremist right-wingers and to prove that the Zionist government is going ahead with its settlement activities. Furthermore, he asserted that the occupation nowadays is going ahead with its activities that aim at isolating Jerusalem from its surrounding in several directions as in the axis south which is the most prominent currently. It is expected that the area will witness a chain of settlements extending from “Har Homa” in the east to Givat Ha-Matos. 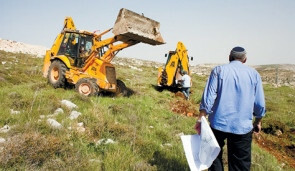 In addition to the expansion projects of "Gilo" all the way to the so-called the new "National Gardens" that will be constructed on lands that belong to the Al-Walaja and on which the occupier is planning to construct “Givat Yael” settlement that will be the gateway for Gush Etzion settlement bloc, in the south of the West Bank. UK foreign secretary William Hague on Thursday condemned the announcement of new settlement activity in the occupied Palestinian territories. "I am disappointed to release a statement on renewed Israeli settlement activity," Hague said. "As the Occupying Power of the Palestinian Territories, the Israeli government has an absolute requirement to uphold international law and to fulfil its commitments. It is important that we voice our concerns when the Israeli government fails to do so. “We and our EU partners are clear: systematic, illegal Israeli settlement activity poses the most significant and live threat to the viability of the two state solution. I condemn the decision to publish tenders for 872 units in the Israeli settlement of Har Homa, across the Green Line in East Jerusalem. The Israeli government's policy is illegal under international law, counter-productive, de-stabilising and provocative. “It is also important that we support Israel when we see it doing the right thing and welcome positive steps. The UK had noted the absence of settlement announcements during the first few weeks of this year. And while different in scale, I welcome the difficult decision taken this week by the Israeli government to evacuate the single-house settlement of Beit Hamachpela in Hebron." Nir Barkat, the occupied Jerusalem Mayor, revealed his plan to establish a new Jewish neighborhood near Abu Dis to the east of occupied Jerusalem. About 200 new houses are being planned for the new neighborhood, known as Kidmat Zion, on a Palestinian land allegedly purchased by U.S. millionaire Irving Moskowitz, the Temple Mount Trustees leader and founder. In response to this plan, three Meretz party members in the city council coalition announced their intention to withdraw from the coalition in case of implementing the plan which is expected to be presented during the next few weeks to the Knesset Finance Committee for the formal and final approval. "Barkat is adding fuel to the flames," Meretz councilman Meir Margalit said. "The Palestinians cannot accept a plan like this, which will split East Jerusalem in two and destroy any chance for a peace agreement with the Palestinians", Margalit said, adding that Barakat "doesn't understand the serious implications of the issue". Kidmat Zion lies between the East Jerusalem Palestinian towns of Abu Dis and Jabal Mukkaber, close to the separation wall which is built on the Palestinians' lands in Jerusalem. The location is considered one of the most sensitive places in East Jerusalem, because it was designated as the future site of the Palestinian parliament. Temple Mount Trustees is one of the main settlement associations which aims to resettle Jews in Jerusalem city and the displacement of the Palestinian population. The association had succeeded, during the past years, in resettling a number of Jewish families in Palestinian neighborhoods. The Palestinian Authority (PA) has voiced deep disillusionment over the "diluted and duplicitous" American stance towards the issue of Jewish settlement expansion in the occupied Palestinian territories of the West Bank and East Jerusalem. Palestinian officials in Ramallah called the American position unacceptable and incompatible with the rule of international law. "The US says it is against settlements and settlement expansion, but what we see on the ground is that the US government is voting against any international resolution critical of the Israeli settlement policy." Earlier this week, the US voted against a decision adopted by the UN Human Rights Council (UNHRC) in Geneva to investigate Jewish settlements. The decision, which also demanded a reversal of the settlement policy, was adopted with 36 votes in favour and 10 abstentions. Only the US voted against it. Following the decision, Israel decided to cut ties with the Geneva-based council, citing excessive politicisation of the council and rampant hostility to Israel. The US decision to vote against the UNHRC resolution, though quite expected, may have been influenced by the election atmospherics in the US and meant, at least partially, to appease and woo the powerful Israeli-Jewish lobby in Washington. Castigating the American move in Geneva, a visibly frustrated Saeb Ereikat, chief Palestinian negotiator, urged Arab states to try "to put an end to this travesty that keeps repeating itself". "It is time the Arab states spoke in voice to America in a language based on interests and expediency, not diplomatic niceties. America won't respect us if we don't respect ourselves." Ereikat's exasperated tone follows US efforts to thwart and frustrate every political and diplomatic effort by the Palestinians to declare statehood and gain international recognition for Palestinian independence from decades of the colonialist Israeli occupation. Observers in occupied Palestine argue that the ubiquitous proliferation of Jewish colonies in the West Bank, especially East Jerusalem, the contemplated capital of a contemplated Palestinian state, has effectively killed any remaining reasonable prospects for the creation of a viable and territorially contiguous Palestinian state. Last week, Ahmed Qurei, who occupied several key portfolios during Yasser Arafat's era, was quoted as saying that the time for establishing a true Palestinian state had passed. "We must not continue to deceive ourselves and our people. The chance for the establishment of a real Palestinian state, that would be truly viable and enjoy territorial continuity, is over. We therefore must seek an alternative, namely the establishment of a unitary state between the River Jordan and the Mediterranean in which all people can live equally as citizens irrespective of their religion of ethnicity," Qurei said. Palestinian sources close to the Ramallah leadership have intimated to Al-Ahram Weekly that Qurei is not the only one within the Palestine Liberation Organisation (PLO) establishment that is speaking about a one-state solution. "I believe that everyone has lost hope for the two-state solution. And I think that President Mahmoud Abbas is one of those who believe that pursuing the vision of having a viable Palestinian state has been reduced to a sort of wishful thinking given Israel's phenomenal settlement expansion. I think the one-state solution will be the Palestinian strategy for the future." PA leader Abbas, who is facing a preponderance of internal problems, including a severe financial problem and a seemingly failing reconciliation with Hamas, has been saying that he will send a decisive letter to Israeli Prime Minister Binyamin Netanyahu. The Palestinian leader has not disclosed the contents of the letter, but rumours in Ramallah are that Abbas will send Netanyahu a final warning that "if you don't put an end to settlement activity, the Palestinians will opt for the one-state solution." Some PA pundits have speculated that Abbas might resort to dismantling the PA once and for all and let the international community take care of the situation. The Obama administration reportedly asked the Ramallah leadership to revoke the letter move, the Americans having been made privy to its contents. The Obama administration is also trying to convince the Palestinians to keep a low profile, at least until November, when the American elections take place. It is widely believed here in Ramallah that Abbas has received "strong assurances" from the White House that Obama will make "strenuous efforts" to a achieve final peace in the Middle East if he wins a second term in the White House. However, almost everyone here is sceptical about Obama's assurances and that very few people if any are willing to give the American president the benefit of the doubt. Moreover, some Palestinian officials are convinced that the host of internal problems besetting the PA these days, including the crushing financial crisis, are deliberate tactics of pressure and blackmail intended to bully the PA leadership into making far-reaching concessions to Israel. Also this week, imprisoned Fatah leader Marwan Barghouti urged President Abbas to halt all forms of security coordination with Israel. Writing in a letter smuggled from the Hadarim Detention Facility and published by the Maan news agency, Barghouti wrote: "The function of our security apparatus is to provide protection for Palestinian citizens, not the occupiers and settlers." He added: "All past experience proved beyond doubt that there is no peace partner in Israel. What is even worse is that Jewish settlement tripled or quadrupled in two decades of futile negotiations. In Jerusalem, the de-Arabisation and de-Islamisation is assuming an unprecedented accelerated pace. This is why our people must resist this policy with all means available within the 1967 territories." Barghouti also called for a "comprehensive boycott for Israeli products and produces at all levels as well as encouraging Palestinian products in ways that would increase Palestinian employment and invigorate local economy." Barghouti is widely taken to be the most popular Palestinian leader in the West Bank. He is serving five life sentences in Israel for his role in the last Intifada. Israeli sources reported that the Jerusalem Municipality is planning to construct a new settlement neighborhood in Abu Dis, in occupied East Jerusalem. The sources said that Jerusalem Mayor, Nir Barkat, is reviewing a plan that aims constructing the new settlement on dozens of Dunams of Arab lands near Abu Dis Arab town; the plan aims at building 250 units. Barkat recently held a meeting with members of his council in order to get their approval of the new plan in order to implement it as soon as possible, the Arabs48 news website reported. Israeli settlements in the occupied territories, including in and around occupied East Jerusalem are illegal under International Law and the Fourth Geneva Conventions to which Israel is a signatory. The ongoing Israeli invasions, and violations, and its illegal and ongoing settlement activities in the occupied territories, pushed the Palestinian Authority to quit peace talks with Tel Aviv.